This post was created in partnership with the Butler County Visitors Bureau. As always, all opinions & thoughts expressed below are 100% my own. 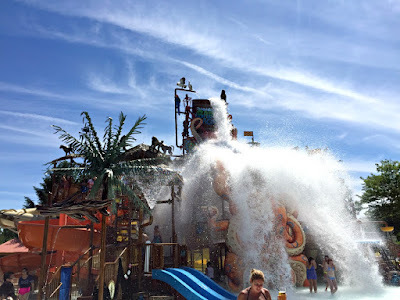 If you have been searching for the perfect unexpected family destination in Ohio, your quest is over! 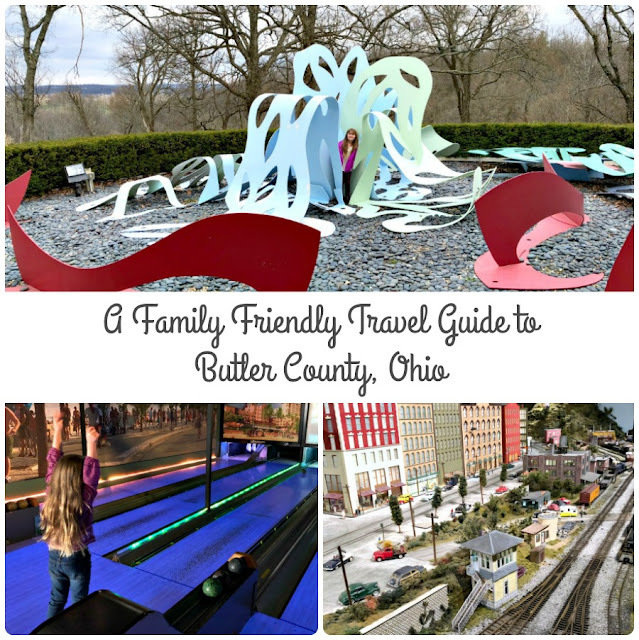 Butler County, located just to the north of Cincinnati & about 2 hours southwest of Columbus, may just be the place you have been looking for. 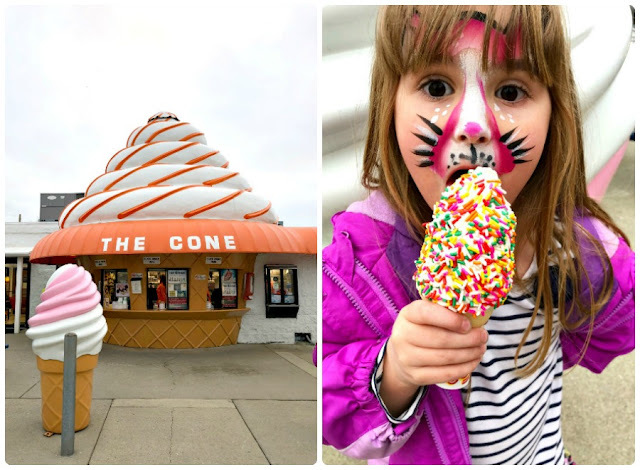 With a famed donut trail, a thriving hands-on art scene, and plenty of quirky & family friendly attractions, Butler County has a little something to satisfy and thrill every member of your family. 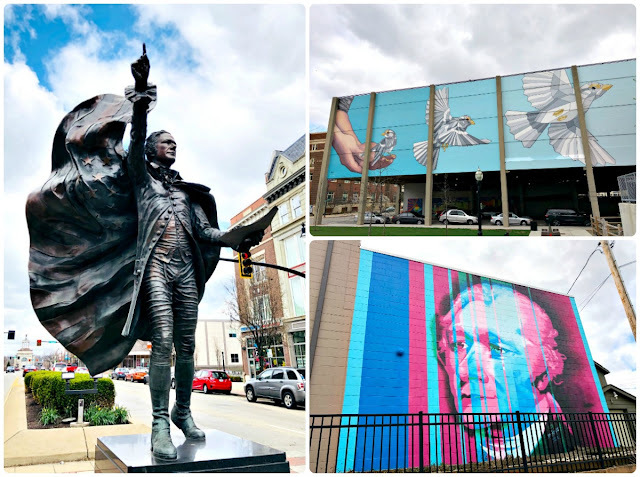 With a newly revitalized & growing downtown area, the historic city of Hamilton in Butler County is definitely worth a visit. Hamilton has evolved from a frontier military fort to a bustling manufacturing center, and even once served as a second home to many Chicago gangsters in the 1920's. The city experienced a sharp decline as the need for heavy manufacturing slowed down. But thanks to the city's revitalization projects, Hamilton is now a successful comeback story. Be on the look out for unique sculptures & colorfully painted wall murals as you stroll along the city's streets. Be sure to pop into Sara's House (254 High Street) for unique upcycled gifts & home decor. Stop in for lunch at High St. Cafe and order off their hidden menu (I highly recommend the High St. Salmon Club!). And then head across the bridge to True West Coffee on Main and order their signature the True West- an amazing combination of fig, vanilla, & black pepper in a creamy latte. Not only is Jungle Jim's International Market the #1 stop in Butler County for foodies, craft beer lovers, & wine connoisseurs, but it also happens to have plenty of quirky and kid friendly displays and installations to get keep the kiddos entertained & happy while mom & dad browse the 6.5 acres of aisles. 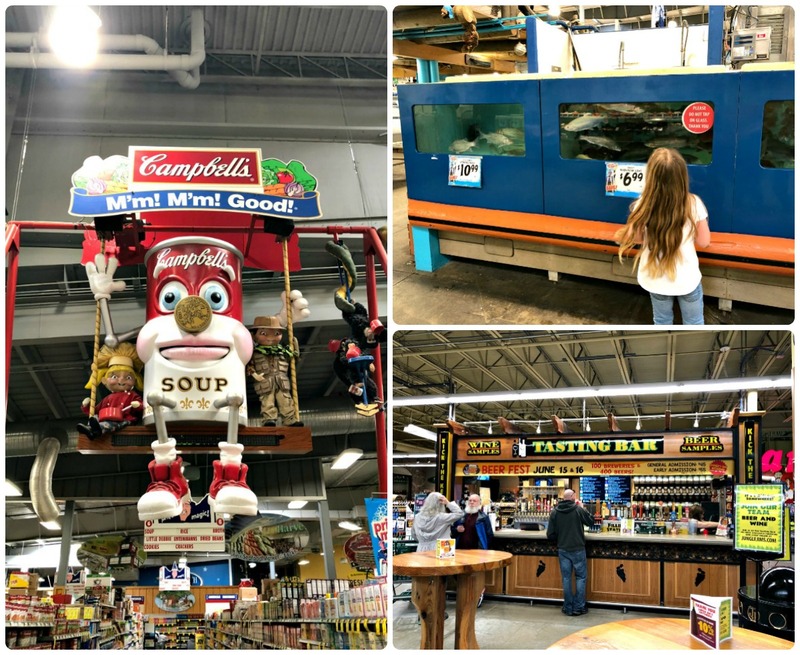 Boasting nearly 200,000 items from 70 countries, Jungle Jim's is your one-stop shop for all of those hard to find foodie delights. Browse thousands of craft beers & wines all organized by state and region. Choose the freshest fish you can find from Jungle Jim's aquariums (so fresh that they are still swimming, folks!). Marvel at their selection of over 1400 different cheeses from all over the world! If you and your family happen to be craving hours of indoor fun during your stay in Butler County, then WEB Extreme Entertainment is the place to go! 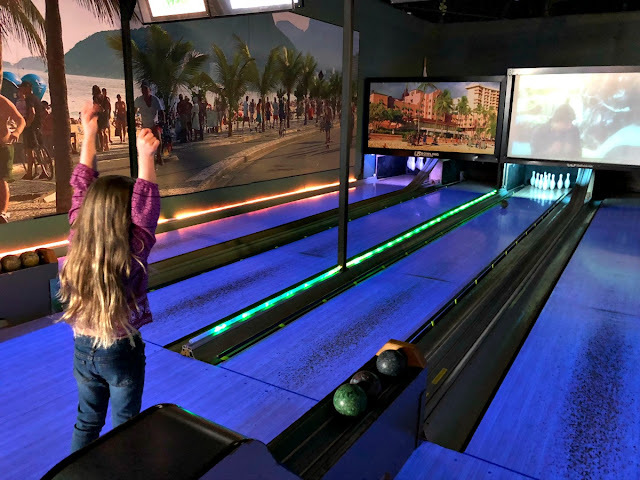 With plenty of video games including classics like skee-ball & air hockey, a go kart race track, mini bowling, laser tag, and even wall climbing, the WEB is the perfect indoor escape from the rain, heat, & cold for the entire family. Want to experience a little childhood nostalgia during your visit to Butler County? Then be sure to add a stop to Grandpa Joe's Candy Shop to your travel itinerary! 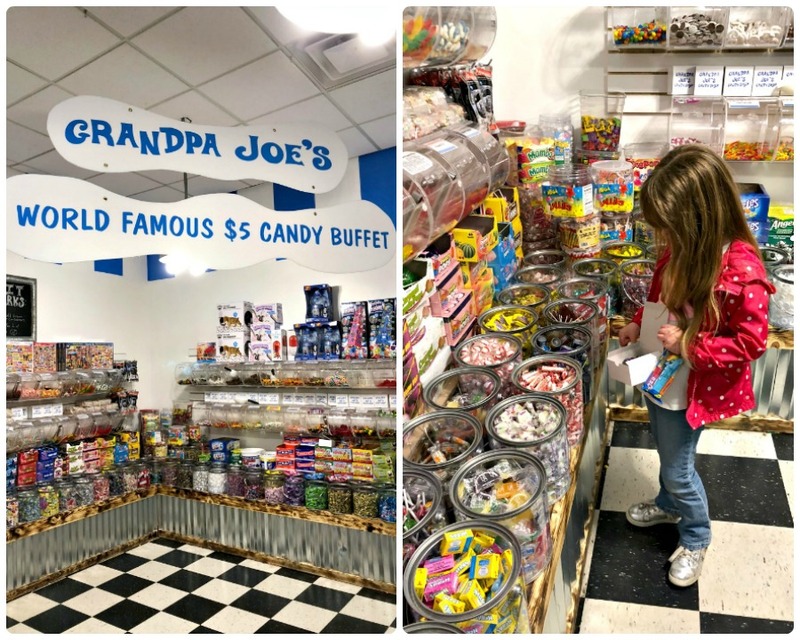 Grandpa Joe's is a candy lover's dream. 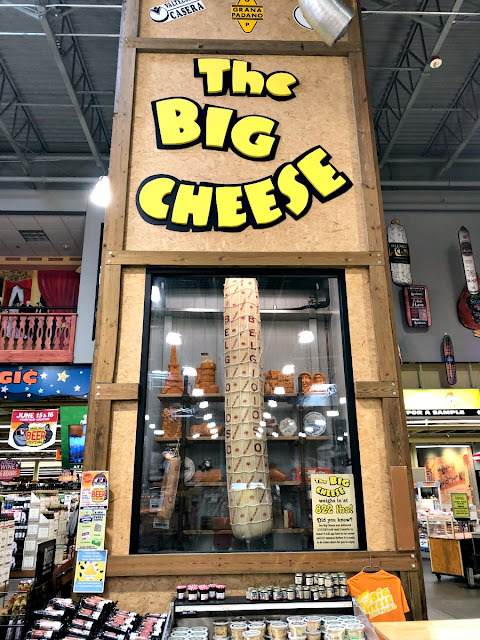 From unique soda pops (think dill pickle, buffalo sauce, & Ranch flavored) to an entire wall of PEZ dispensers, Grandpa Joe's will delight every member of the family no matter their age. Located on over 300 acres of rolling hills, the Pyramid Hill Sculpture Park & Museum features more than 60 outdoor sculptures in addition to their indoor Ancient Sculpture Museum that displays pieces dating back as early as 1550 B.C. 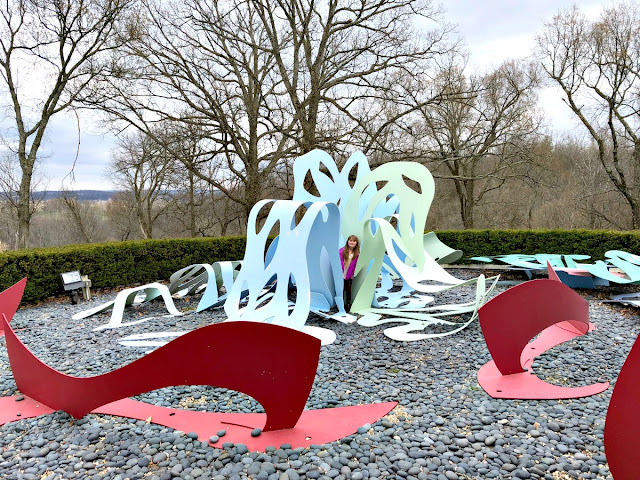 The mastermind behind the sculpture park & museum was a local wealthy businessman by the name of Harry T. Wilks who had a love for ancient artifacts & modern, larger than life sculptures and wanted to share that passion with people & future generations everywhere. 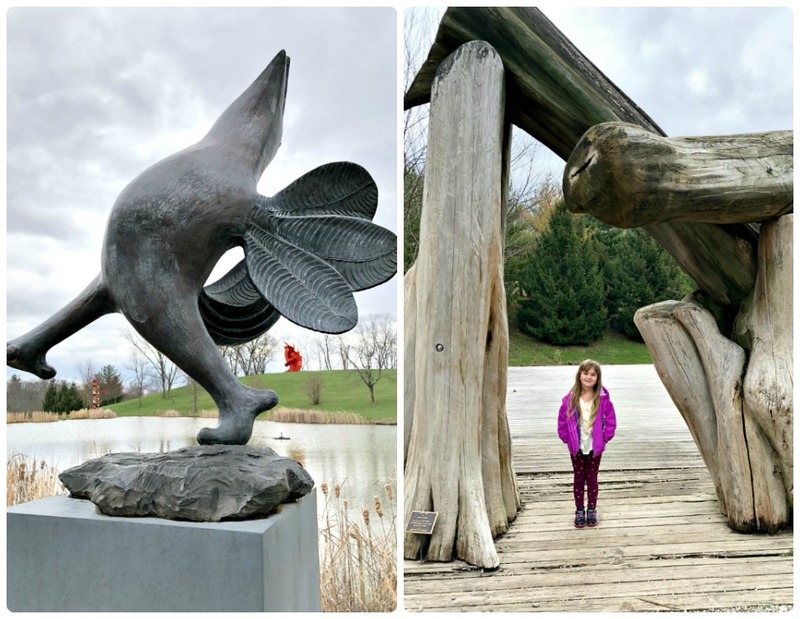 You can choose to drive or hike around the outdoor sculpture park on a self-guided tour. There are even Art Carts (aka, golf carts) that you can rent to drive around & view the various sculptures. 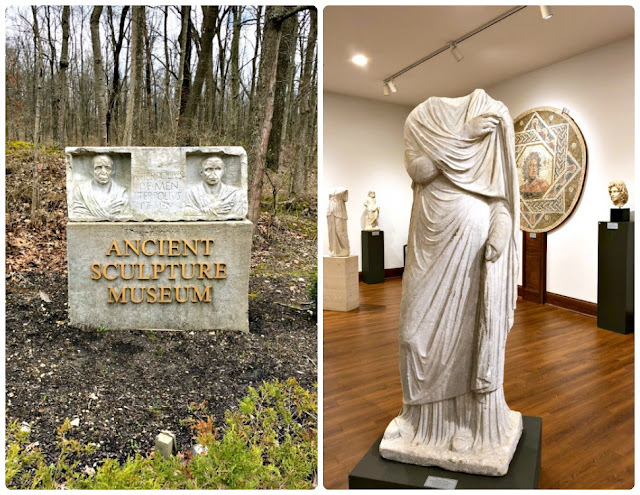 Be sure to not skip the Ancient Sculpture Museum during your visit to Pyramid Hill! For this self-proclaimed history buff, the museum may have been my favorite part of the sculpture park. To walk among authentic sculptures, mosaics, & artifacts dating back to thousands of years old is a truly awe-inspiring experience. Want to visit the world's largest indoor model train display? 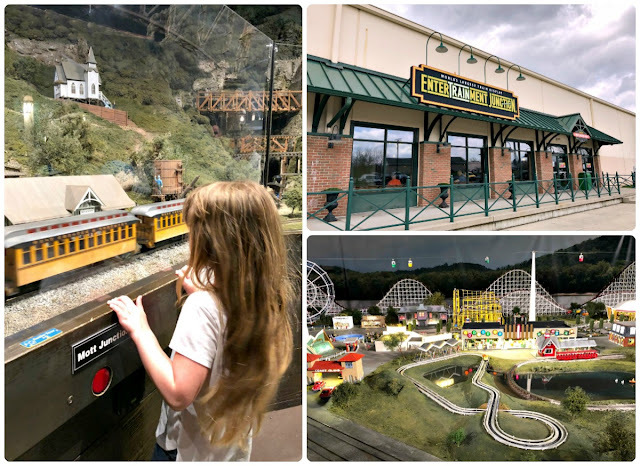 Then you definitely need to plan a visit to Entertrainment Junction during your stay in Butler County! Housing over 2 miles of railroad track & featuring over 90 model trains, Entertrainment Junction is sure to enchant train lovers of all ages. 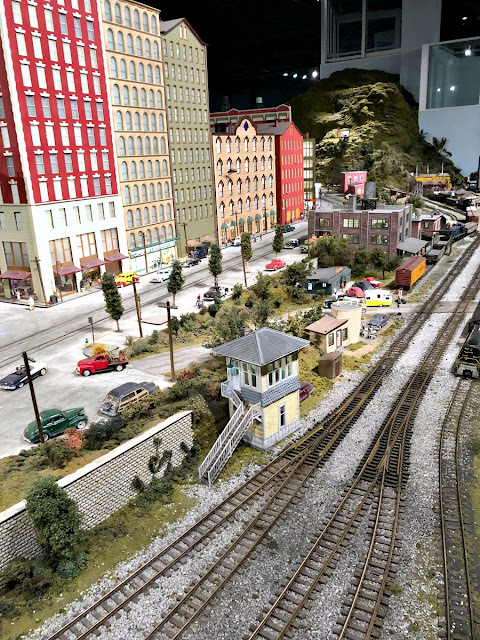 The model train display takes you on a historic journey of American railways from the birth of steam engines in the 1860's all the way to present day modern train travel. At each display, you will find a nifty scavenger hunt sign that encourages every member of the family to really explore and interact with the detailed scenes of the model train display. If the grown-ups happen to be craft beer lovers & the kiddos love a good old-fashioned arcade game, then head to Rivertown Brewery & Barrel House any given Monday between 5:30-7:30PM for their Family Funday. Kids eat free with the purchase of an adult meal. 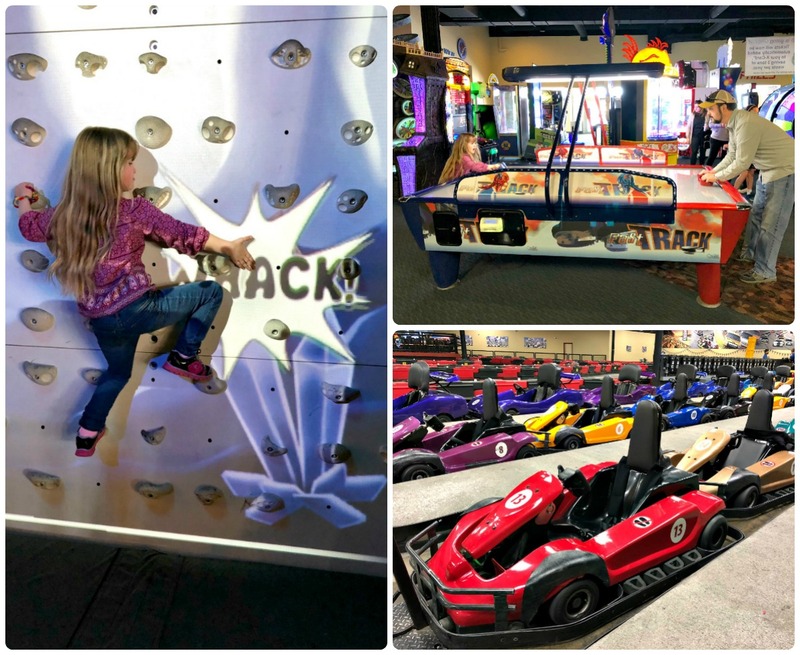 Plus, they offer face painting, balloon animals, a magician, and all-you-can-play arcade games at no charge. 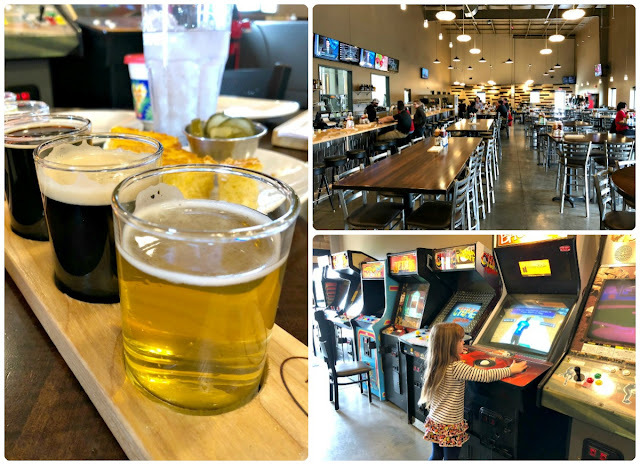 Mom & dad can enjoy a flight of in-house brewed beers while the kids stay happy & entertained. And the food isn't too shabby either. 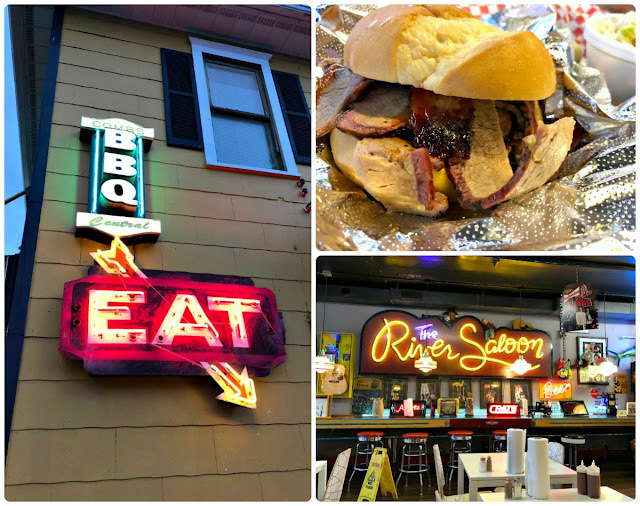 ;) I definitely recommend giving their Death-Injected Brisket a go. In the mood for some good old-fashioned, slow smoked BBQ? Then make plans to have lunch or dinner at Comb's BBQ during your stay in Butler County. From tender baby back ribs to juicy pulled pork and everything else in between, Comb's is sure to satisfy your BBQ craving. Plus, you can beat the restaurant's funky & eclectic decor. 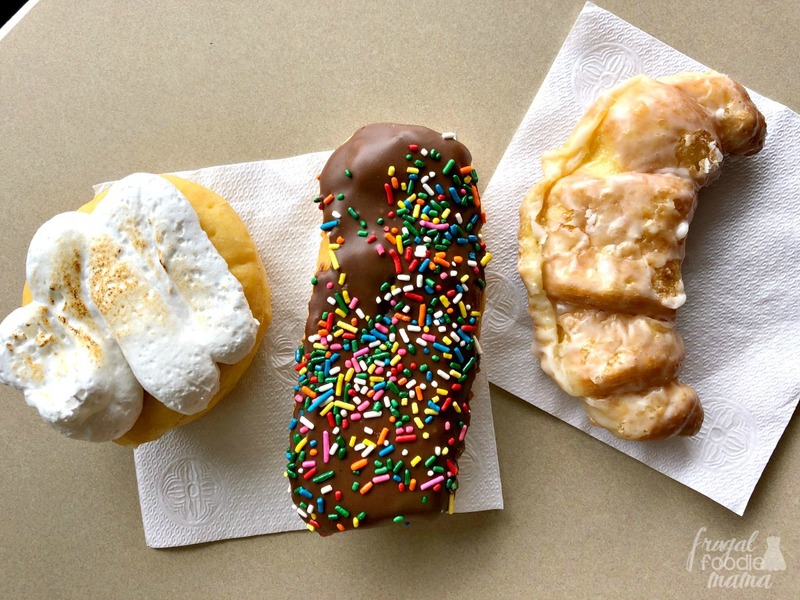 And you cannot visit Butler County without doing at least some of their now famous Donut Trail! Spanning over 80 miles across 6 different cities in the county, the Trail is a definite must-do if you and your family happen to be donut lovers. 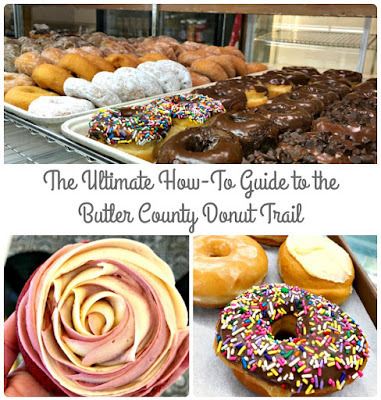 Click here to check out my Ultimate How-To Guide to the Butler County Donut Trail. For more information & to start planning your family adventure in Butler County soon, be sure to visit the Butler County Vistors Bureau website! 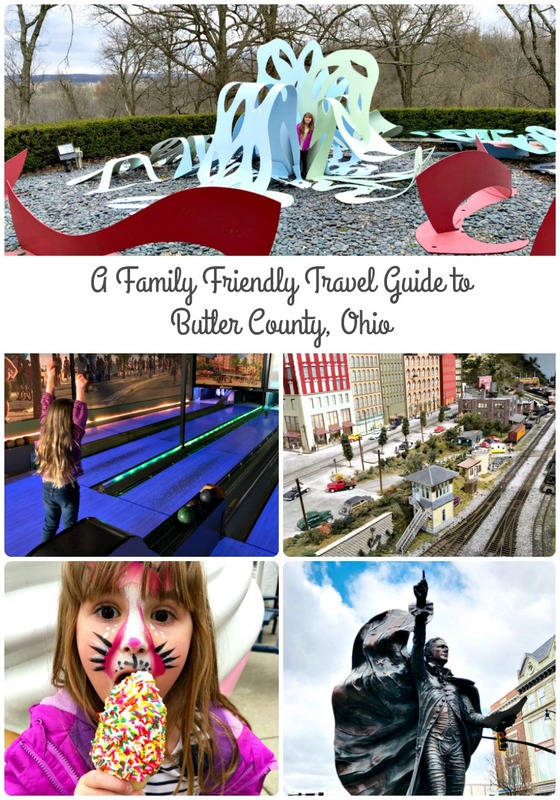 Looking for a family friendly hotel to stay at during your visit to Butler County? 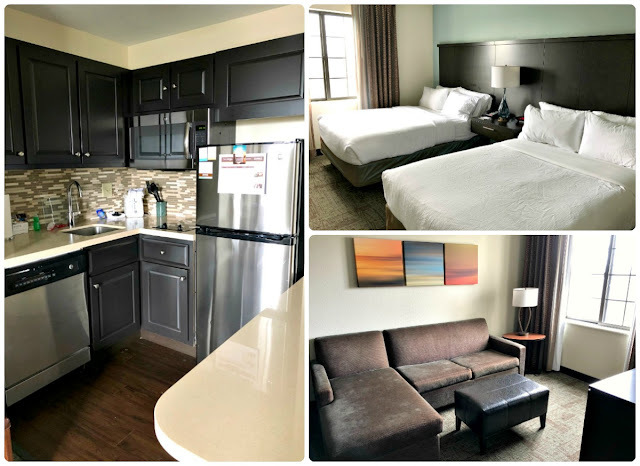 Then be sure to book a room at the Staybridge Suites Cincinnati North, and let one of their spacious suites serve as home base for you & your family. With family friendly amenities such as a free hot breakfast each morning, an indoor pool & hot tub, & free high-speed internet, the Staybridge Suites in West Chester is the perfect home away from home for you and your family while you explore all that Butler County has to offer.